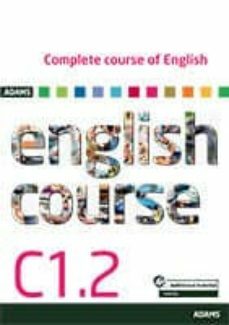 This new Adams Complete Course of English provides the students with the necessary skills to thoroughly prepare the CEFR (Common European Framework of Reference for Languages) exams with confidence, while learning useful, everyday English usage through different sections in each Unit, with vocabulary, grammar rules and lots of examples and practical exercises. In an attractive, visually engaging design, these books will take the students progressively from Elementary (A1) to Mastery level (C2), being focused on interaction and not only on what the student can know, but what the student can do. We remind you that the books included in this collection are: A1, A2, B1.1, B1.2, B2.1, B2.2, C1.1, C1.2 and C2. Finally, we sincerely hope that this course will meet the expectations of both English students and the highest quality standards.